ExxonMobil is launching Mobil SHC Hydraulic EAL (Environmentally Acceptable Lubricant), a new readily biodegradable synthetic hydraulic oil that protects equipment and can help improve energy efficiency of hydraulic equipment by up to 3.6 percent. 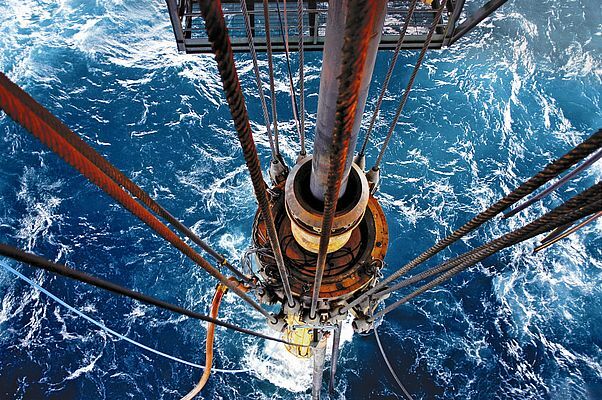 The high-performance lubricant also has low toxicity, making it ideally suited for equipment used in sensitive environments or industries where EALs are required, such as offshore oil and gas applications. Mobil SHC Hydraulic EAL delivers a balanced technical performance. It meets EU Ecolabel standards, and is non bio-accumulating. It also features properties that can increase equipment durability and extend oil life, meaning it can even protect machines operating in rugged environments where deposit build-up can be an issue. "For years, we have championed the capabilities of advanced synthetic lubricants. And the newest addition to our range of hydraulic oils, the Mobil SHC Hydraulic EAL oils, demonstrates why: it is environmentally acceptable, offers superior protection and potential efficiency gains," said Ayman Ali, Europe Africa Middle East, oil and gas marketing advisor for ExxonMobil. "In the oil and gas sector, rugged working conditions and strict environmental standards test hydraulic equipment to the limit. Our hydraulic oil meets all of these needs and protects equipment so it can deliver optimum performance." Mobil SHC Hydraulic EAL has a shear stable, high viscosity index ensuring it can perform in a wide range of temperatures. The lubricant's cold start capability can also help to protect pumps and reduce energy consumption at start up. Strong filterability and an ability to tolerate water contamination help to extend a machine's oil filter life, leading to longer drain intervals. With a number of factors contributing to trouble-free operation, Mobil SHC Hydraulic EAL can help to reduce the need for maintenance, limiting the potentially hazardous interaction between personnel and machine. During extensive rig testing, the oil was also proven to deliver up to 3.6 percent hydraulic pump efficiency benefit versus conventional hydraulic fluid. In addition, the product outperformed competitive products in a number of benchmark industry tests, including air release and hydrolytic stability, vital parameters for offshore hydraulic application. For more information on Mobil's range of industrial lubricants, please visit mobilindustrial.com.